PARTNER NEWS: Commuters across western Scotland are to begin testing a host card emulation (HCE) based ticketing service in the second quarter of 2017, that will enable them to securely load a virtual smart card to their mobile phone and pay for journeys across the Glasgow Subway with a tap of their NFC device. The pilot will be carried out by Nevis Technologies — the joint venture formed between Scotland’s largest regional transport partnership Strathclyde Partnership for Transport (SPT) and smart transportation technology provider Rambus Ecebs. It will be the first service to make use of Rambus Ecebs’ newly launched HCE Ticketing Solution. Rambus Ecebs today announced Strathclyde Partnership for Transport (SPT) will initiate a pilot program for the newly announced HCE ticketing solution, which will be delivered by Nevis Technologies, the joint venture company formed between Strathclyde Partnership for Transport (SPT), Scotland’s largest regional transport partnership, and Rambus Ecebs, a leader in smart technology for transportation. Roll-out for the first HCE Ticketing Solution is planned during 2017. The program uses a comprehensive mobile ticketing product suite leveraging Host Card Emulation (HCE) technology to securely load virtual smart cards onto smart phones. The HCE Ticketing Solution can be implemented using existing smart infrastructure and enables transport operators to easily and securely transition from physical to virtual smart cards. 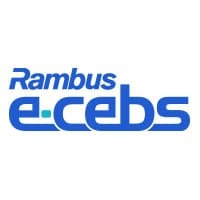 Rambus Ecebs will provide SPT with the HCE Ticket Wallet Service, which securely provisions and manages a virtual smart card to store tickets on the phone, and a configurable HCE Ticketing App, which provides consumers with an interface to purchase, fulfill and manage tickets. For transport operators, the Ticketing App helps collect valuable traveler data and analytics to optimize ticket offers, pricing, staffing and routes. Select riders will be given the HCE Ticketing App, which is fully integrated with Rambus Ecebs’ suite of smart ticketing products. The app enables travelers to load smart tickets immediately to a smart phone without needing to physically go to a ticket machine. The HCE Ticketing Solution can be deployed with existing ITSO-based infrastructure, the UK interoperable open ticketing specification. Deployment of this program will start in Q2/Q3 2017. Nevis Technologies is a joint venture company between Ecebs and Strathclyde Partnership for Transport (SPT). The company was formed to deliver secure, integrated smart ticketing to Scotland, bringing together a depth of expertise from both the transport and smart technology industries. www.nevistechnologies.co.uk. Rambus Ecebs provides interoperable smart ticketing systems. Our products are at the cutting edge of transport ticketing technology and include a suite of ITSO compliant solutions, Host Card Emulation (HCE), Account Based Ticketing (ABT), NFC mobile apps and data analytics, all underpinned by robust security. Rambus creates innovative hardware and software technologies, driving advancements from the data center to the mobile edge. Our chips, customizable IP cores, architecture licenses, tools, services, software, training and innovations improve the competitive advantage of our customers. We collaborate with the industry, partnering with leading ASIC and SoC designers, foundries, IP developers, EDA companies and validation labs. Our products are integrated into tens of billions of devices and systems, powering and securing diverse applications, including Big Data, Internet of Things (IoT), mobile, consumer and media platforms. At Rambus, we are makers of better. For more information, visit rambus.com.